I set myself the challenge of reading 50 books in 2015. I didn't make the target, but I was fairly close, at 44 books read. Goodreads is largely what prompted me (I've taken part in their reading challenges for the last few years) and I log all the books I read on there. I usually set myself the target of 50 books and I usually miss by about 5 books. One year I might make it! So what were the highs and lows in my reading this year? Which of those 44 books would I recommend and which do I regret reading? First place has to go to Harper Lee's "To Kill a Mockingbird" which I re-read this year. We did it at school (though the level of my memories of that are shockingly low!) but it was a joy to re-read it. It was beautifully precise and economical - descriptions had enough to create perfect images, without being over long. 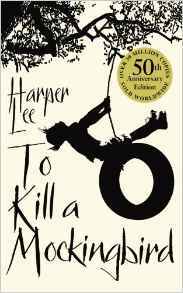 The "sequel" (actually written before To Kill A Mockingbird) - "Go Set A Watchman" is on my To Be Read list, but I must confess that the BBC Radio 4 Book at Bedtime reading of it has put me off it slightly. 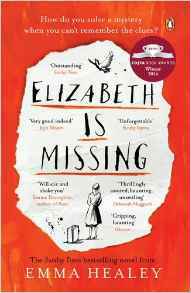 An honourable second goes to Emma Healey's "Elizabeth is Missing"
This was funny and moving and heart-breaking by turn. The depiction of the main character, Maud, was excellent (and strongly reminded me of my late mother-in-law!) and the weaving together of her old memories and her current state of confusion was extremely well done. I have been raving about this book to all of my friends! Three others to recommend are Hannah Kent's "Burial Rites", Clare Mackintosh's "I Let You Go" and Tasha Kavanagh's "Things We Have in Common"
"Burial Rites" is the fictionalised story of the last woman to be executed for murder in Iceland. After her trial but before her execution, she is sent to live with a family. The book covers that time. The characters were beautifully drawn, as was the landscape and I found the book enormously moving. In "I Let You Go" the main character's life changes irrevocably in an instant and she walks away from this 'old' life. You can never truly escape your past though, however hard you try and slowly, it starts to catch up with her. I found the book well written and I was engaged with all of the characters. "Things We Have in Common" is told from the perspective of a 15 year old girl, Yasmin. I found the book (and Yasmin!) incredibly disturbing. 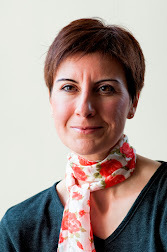 Yasmin is a lonely girl who imagines her life could be very different. She is obsessive and a fantasist. Although in many ways I could understand how each of her actions followed on from one another, it still produced a disturbing result. I don't especially like highlighting books that I haven't enjoyed - I know that there will be others who abhor the books I love and vice versa - but having praised five, I have to mention the only book this year that I contemplated abandoning before the end. I wish I had abandoned it, but I'm not very good at doing that. I tend to struggle on to the bitter end in the hope that it will improve. Lev Grossman's "The Magicians" did not improve for me. Having looked at the range of reviews on different sites, it's tending to come out with a middling average score: 3.2/5 (Amazon) and 3.47/5 (Goodreads), but when you look at the breakdown, it appears it's a bit of a 'Marmite' book - you love it or you hate it. I hated it. I couldn't have cared less about the characters (except I just wanted them all to die), I found the plot muddled and poor and there were far too many examples of scenes that seemed to have no purpose whatsoever - they neither told me more about the plot nor about the characters - and at 496 pages long, the book would have been better without them. Apologies to everyone who adored the book, but it wasn't one for me. Anyway, that's been a quick summary of my reading year. What can others recommend? What should get added to my To Be Read pile for 2016 (and what shouldn't? )?